It is easy to build your own tower garden. All it requires is a bit of creativity and some inspiration. But before you learn how to come up with your own tower garden at home, you might be wondering what is a tower garden? Basically, a tower garden is an aeroponic and vertical growing system. This system allows you to grow up to 20 varieties of flowering plants, fruits, herbs and vegetables. Usually, the tower garden is less than three square feet in height and can be grown indoor or outdoor. If you are planning to build your own tower garden, here are some ideas to get you started. This one should be easy. All you need are some pots made of clay. You do not need to buy new ones. If you’ve got old pots, simply paint them with bright and colorful colors, similar to what’s shown above. Next, place the pots on top of each other in a zigzag manner. These colorful pots can surely give color to your garden. If you’re fond of DIY projects, building a pyramid planter similar to the picture above should be fun. All you need are some wooden blocks and you can build them in the shape of a pyramid. There are various resources online that you can refer to as your guide. On the other hand, you can purchase ready made pyramid planters from your local garden supply store. Place some soil on the pyramid planter and grow your plants. This DIY tower garden project can be done in less than a day. 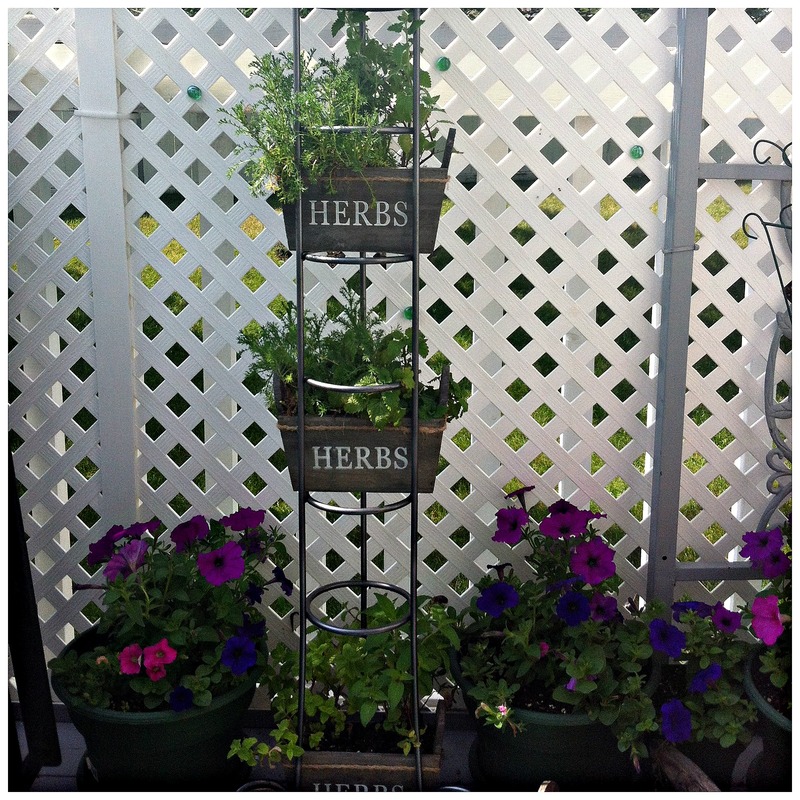 If you want to grow herbs in your tower garden, then this would be a great idea to follow. This requires the use of some plastic pots in different sizes. You can have a large, medium and small sized pots. First of all, put some soil in the pots. Next, stack them on top of each other, with the biggest pot being at the bottom. Finally, plant the herbs of your choice. You may also attach names on them using small chalkboards, similar to what you see in the photo. If you want to grow flowers for your tower garden, then this would be a great inspiration. Building this tower should be pretty easy. It makes use of around three to four pots in varying sizes, stacked on top of each other. This is pretty similar to the herb tower garden above. However, this idea is perfect for flowering plants. If you’re not sure what flowers to grow in your tower, you can do a research online on some of the best flowers for flower tower. There should be lots of them. If you want to build your own tower garden without spending a lot, then make use of tin pails. 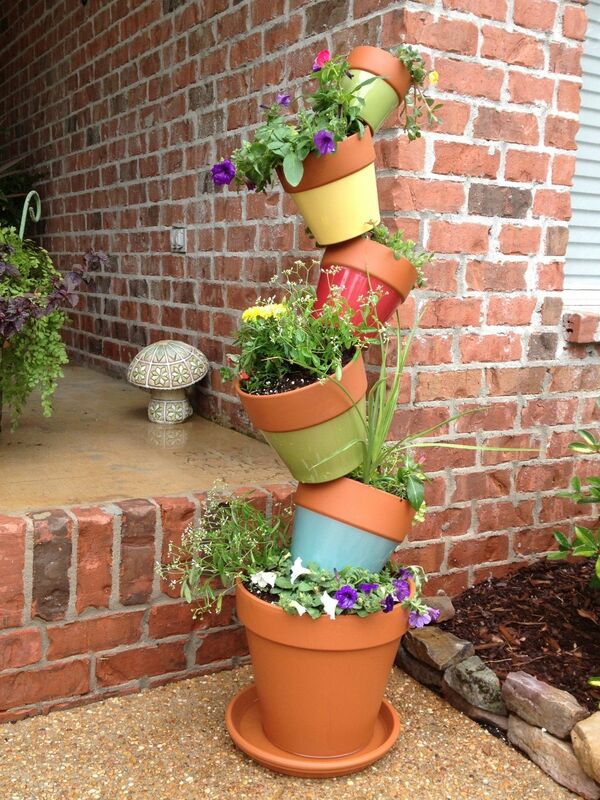 This is also another great tower garden idea for growing flowers at home. It should be easy to do. 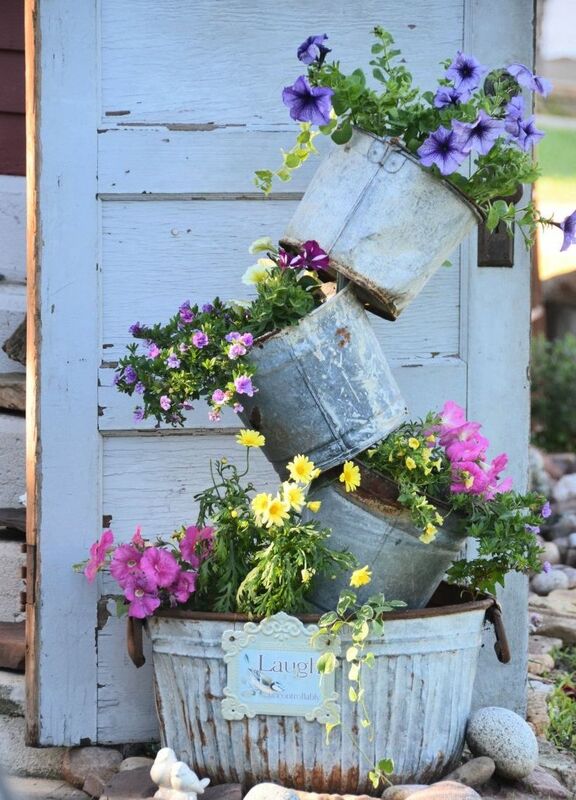 First, visit your local scrap shop to look for tin pails that you can recycle as a planter. Once you have the pails, fill them with soil so you can start growing plants. Finally, stack the pails on top of each other in a zigzag manner. 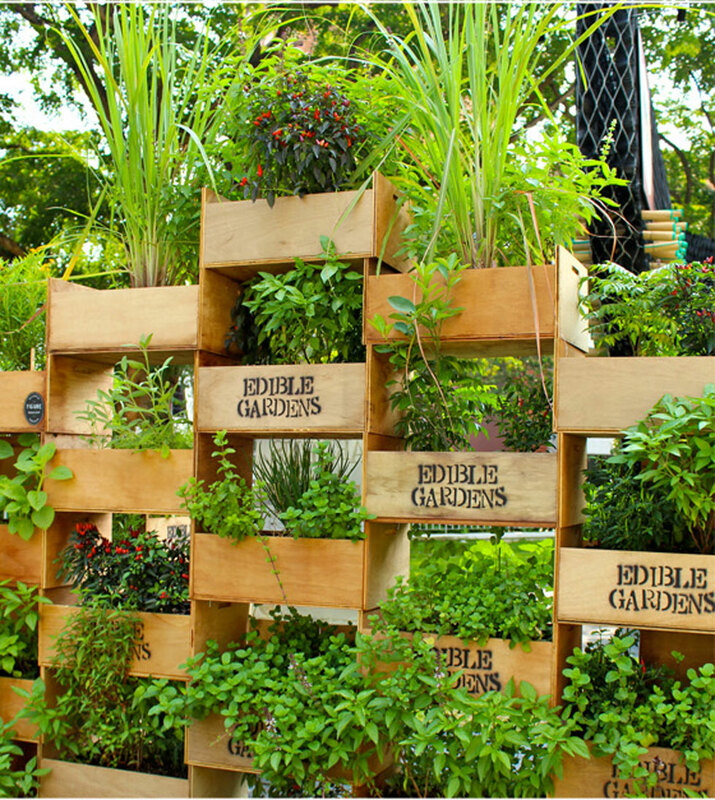 You can use pallets in various ways when it comes to gardening. 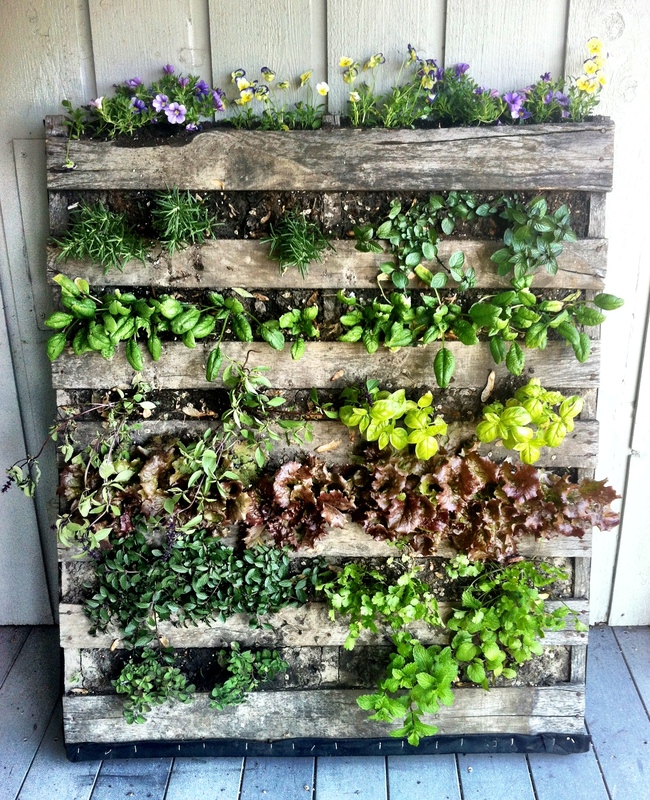 Usually, the pallets are used as planters and are a favorite among DIY enthusiasts. If you have some extra pallets at home, then you can take inspiration from this idea to come up with a unique tower garden in your home. You can then hang the pallet in your patio, at your yard or in your garden. 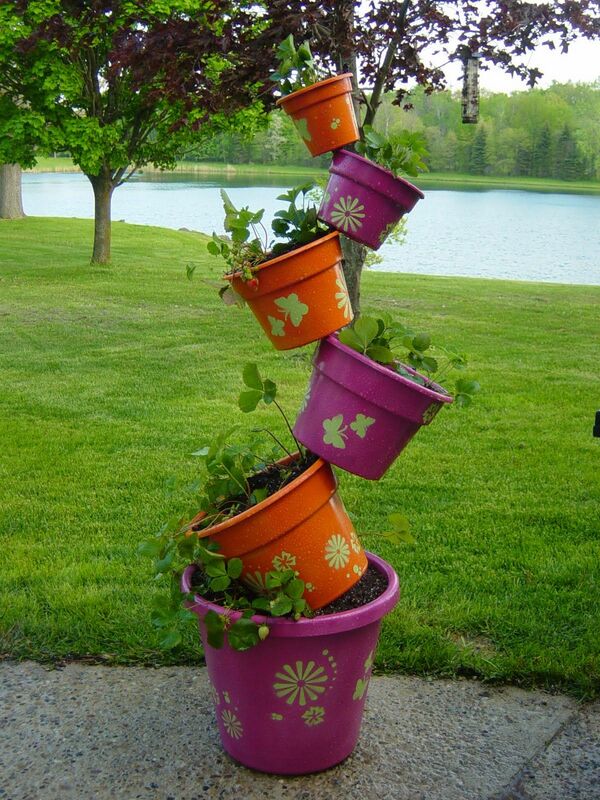 Another great idea to consider for your flower tower garden is the use of a three-tiered pot. 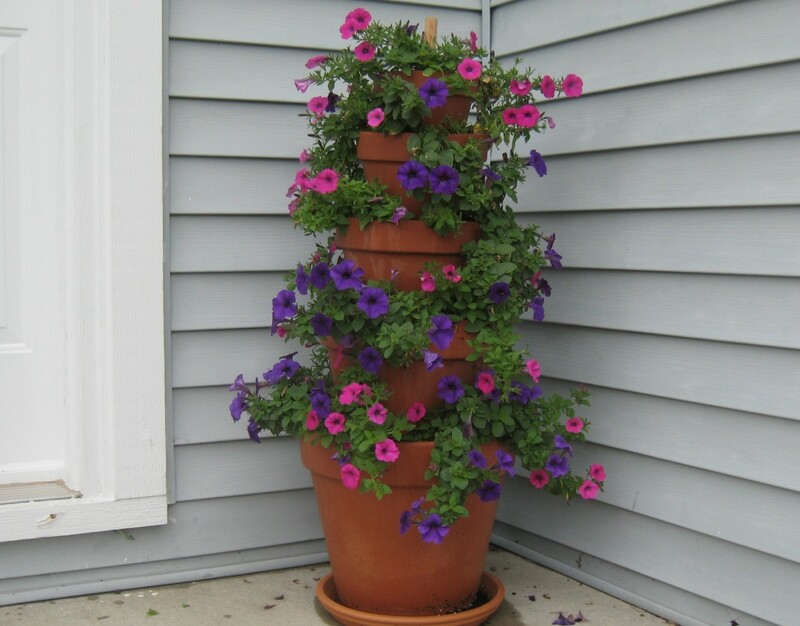 Simply visit any garden supplies store and look for clay pots that have multiple tiers. Usually, these pots have intricate designs on the side, making them to look even more beautiful. This is also a perfect inspiration for those who want an indoor tower garden at home. Another easy DIY project for your tower garden is the use of wooden boxes. If you’re a DIY enthusiast, then this project should be easy. Otherwise, you can purchase ready made boxes at a construction supplies store. Simply fill the boxes with soil and plant whatever plants you prefer to grow in them. Then stack the boxes on top of each other in a pattern that’s similar to the picture above. If you’re artistic enough, then let those creative juices flow by decorating your pots with funky designs. Perhaps, you can paint the pots with flowers, butterflies and other designs that you prefer. This DIY Tower Garden makes use of some plastic pots that you can easily buy from a garden supply store. Or better yet, recycle some plastic containers to save money. Fill the pots with soil, grow your plants and stack them above each other. By definition, hydroponic refers to the method of growing plants without using any soil. Instead, it makes use of mineral nutrient solutions on a water solvent. If this method of growing a tower garden fancies you, then this idea would be a perfect inspiration. This innovative tower garden can be bought from various garden supplies stores in your area. In fact, you can also buy plenty of them online. A spiral garden is a great idea for your tower garden. Though it may not be among the easiest tower garden to make, but when you pull it off correctly, you’ll realize that all your efforts will be worth it. You can simply build this spiral garden directly in your yard. On the other hand, you can purchase ready made planters with a spiral design, similar to what’s shown above. When you ask what is a tower garden, the answer as stated above, is that it is a vertical growing system that allows you to grow several varieties of plants. 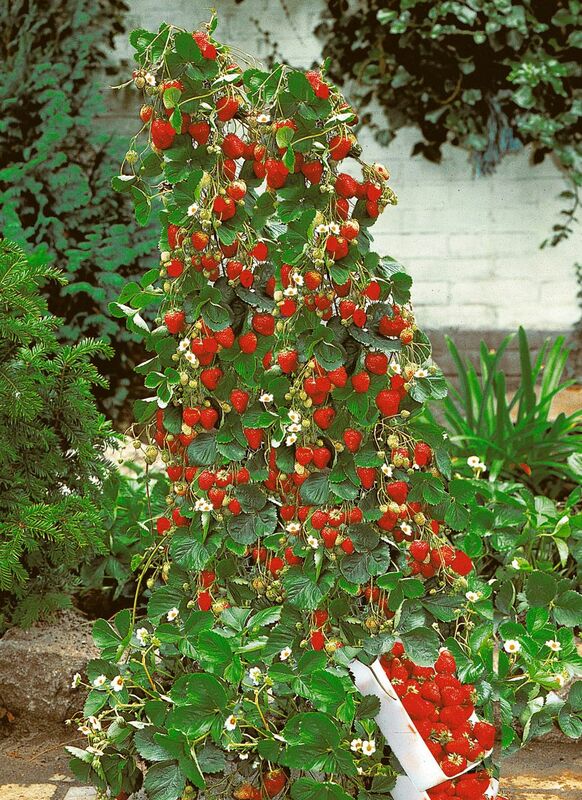 In some cases however, a tower garden may only consist of just one variety of plant, such as strawberry. If you’re planning to grow just one variety of plant for your tower garden, then this strawberry tower garden can serve as your inspiration. If you search online for tower garden ideas, you will most likely come across the barrel tower garden. But you might be wondering how to make a garden tower from a barrel. The process should be easy. To start with, look for plastic barrels that you can use for the project. With the use of saws, cut the top of the barrel. Next, mark some lines for your pouches and cut out the wedges. Drill some holes for drainage and you now have a beautiful and functional tower garden made of barrel. If you’re like others who have no time and the patience for a DIY Tower Garden, then consider buying a plant composting tower garden. This tower garden allows you to grow several varieties of plants. Moreover, the planter can also be placed indoor. Thus, if you are also in need of an indoor tower garden, then this is also a great idea. Simply visit any of the garden supply stores near you to purchase the plant composting tower garden. Better yet, go online and look for stores that sell garden supplies. If you want to attract birds into your garden, then this garden tower with birdbaths would be perfect. Similar to the stacked pots above, this tower garden should be easy to make. Simply attach a birdbath at the planter or container that’s at the topmost. Moreover, this idea is also perfect if you are growing some of the best flowers for flower tower. A tower garden is indeed an interesting DIY project. 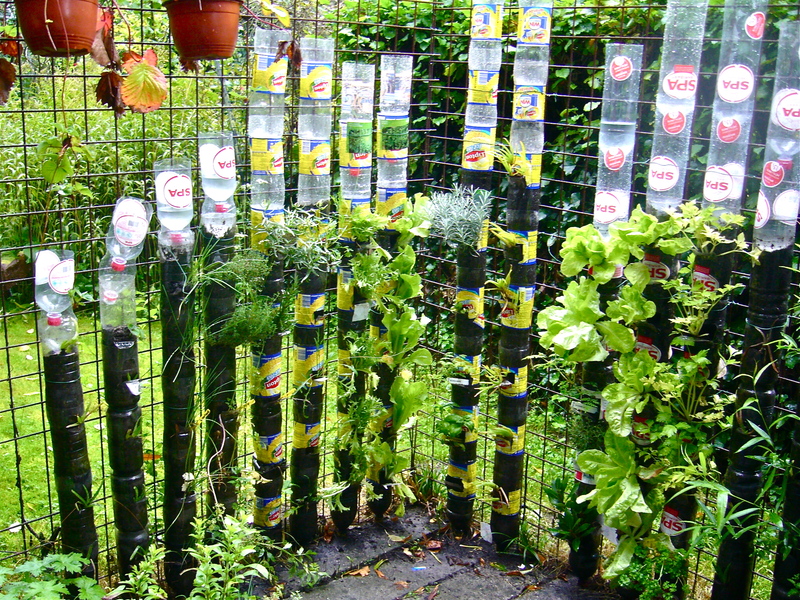 Aside from learning how to make a garden tower from a barrel, you might also be interested to learn how to come up with a tower garden that’s made of plastic bottles. This DIY tower garden is so easy to make and since it makes use of recycled plastic bottles, it is environment friendly. Another tower garden that makes use of a recycled material is the PVC pipe tower garden. This project is so easy that even those who are new at DIY projects should be able to pull this off. Of course, the project makes use of a PVC pipe. You can purchase new pipe or recycle the old pipes. Create holes on the side and grow your plants. This idea is also perfect if you are planning to grow some herbs. If you’ve got an old fountain in your garden that you no longer use. Perhaps, you find it too expensive to maintain because of the amount of water that it use. Then consider converting it into a tower garden. Take inspiration from the photo above. Simply fill the fountain with soil and you can then grow your favorite plants on it. 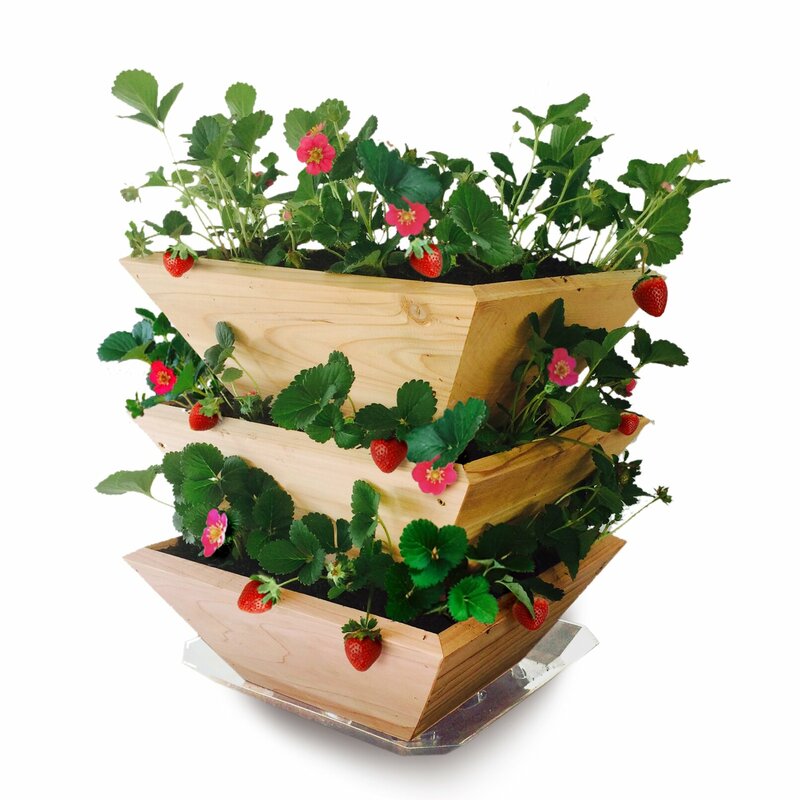 Another idea for growing strawberry in a tower garden is this wooden planter. If you’re fond of DIY projects, then you can simply build this wooden planter by yourself. Otherwise, you can purchase a ready made tower garden planter online or from any garden supply store. Unfortunately, since the planter is made of wood, it is prone to rotting, especially with regular watering. Another easy DIY project for your tower garden is with the use of a repurposed CD rack. These days, not a lot of people collect CDs. Thus, they tend to abandon their CD racks. Convert your own CD rack into a planter and you could come up with your own tower garden. Refer to the above photo for your inspiration. Use some wooden branches and sticks to come up with this teepee tower garden. Simply tie the branches or sticks with a string and form it into a teepee. You can also use this tower garden as trellis where vine plants can be grown. So if you’re not sure how to build your own tower garden, refer to any of the amazing tower garden ideas above.